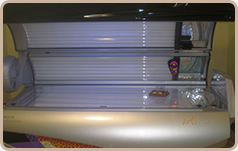 Get your perfect tan with one of our 16 tanning beds. Most of our beds are Ergoline. 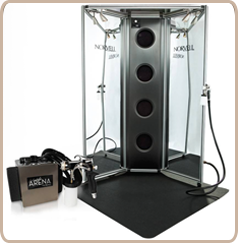 We have laydown and stand-up units and five different tanning equipment levels. Packages start at $10 a week. We’ll craft the perfect tanning package for you, whether it’s by the minute or by the month. 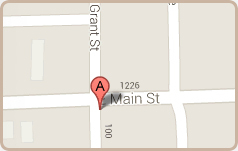 Get your perfect sunless tan at The Sun Spa Tanning Salon. We carry a full range of spray tan care products, from pre-spray to post care to keep that perfect color. Our certified technicians use Norvell Sunless Tanning - the number one brand in the industry for that just-off-the-beach color every time. 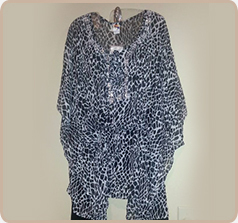 Choose from a variety of color options and packages. We have single or multi-session options. We’ll discount your follow up appointments. Book a package and your first spray is free. 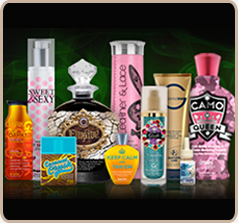 We carry the top lotion brands, including Austrian Gold, California Tan, Deveda, Creation and Supre. Coming Soon: Tan with friends. We’ll soon start booking sunless tanning parties! We’re dedicated to giving you the perfect tan all year round.